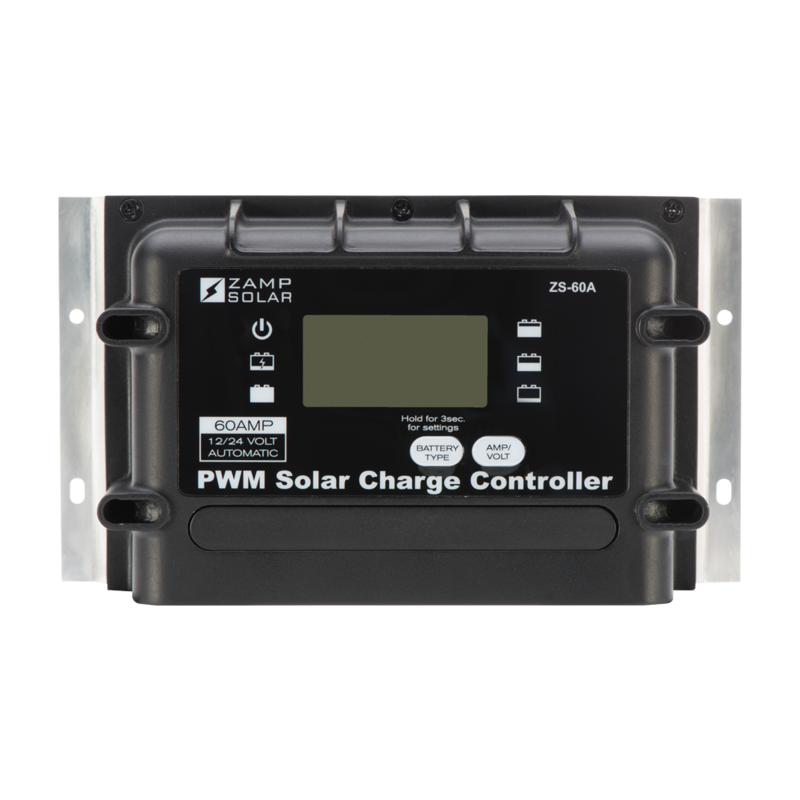 Our 60-amp charge controller can regulate up to 1,020watts and is compatible with lithium, gel, AGM, conventional lead-acid (wet), and calcium batteries. Keep an eye on your batteries and power levels wherever it’s most convenient for you with our remote digital display—included in the purchase of this charge controller. It gives you all the same information as the charge controller and can be mounted anywhere inside your RV, boat, or cabin. Our 60-amp charge controller can be surface-mounted on your wall, or flush mounted inside the wall. It is compatible with our battery temperature cable.